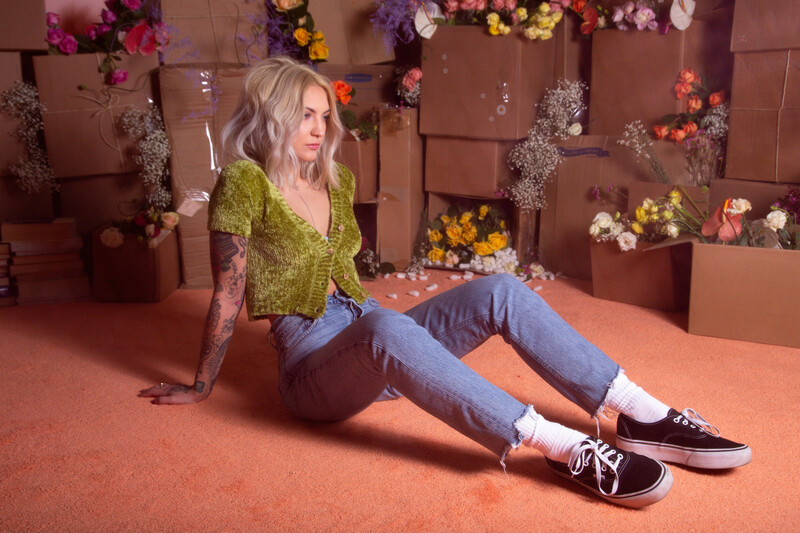 This week it is the battle of the break-up songs as Julia Michaels and Lauv go head-to-head with songs which may or may not be about their break-up. And, if they are, then you could say they have handled things very differently. We’re excited to have Julia Michaels back, although we wish it was on nicer terms! Her new single “Inner Monologue Part 1” talks about break-ups and anxiety, with a song featuring Niall Horan and the self-descriptive ‘Anxiety’ featuring Selena Gomez. What makes ‘Anxiety’ so good is that both Julia and Selena have spoken out about their anxiety and the issues they face surrounding public pressure, so it feels more like we’re listening into a private conversation between the two of them rather than (what it actually is) a pop bop. In the context of the rest of the EP (especially tracks such as ‘Into You’ and ‘Deep’) it makes the perfect opener. Lauv & Troye Sivan – i’m so tired…: If – when he sings “But everybody around me is falling in love to our song” – Lauv isn’t referring to his and Julia Michaels’ single ‘There’s No Way’ then we don’t know what he is referring to, but either way this song is massive. Troye Sivan glows on the single and it’s great to hear a return of the “ey-ey-ey’s” which we came to love on his album ‘Blue Neighbourhood’. Great single, great collaboration, great all round. Dua Lipa – Swan Song: Released for the new film ‘Alita: Battle Angel’, Dua Lipa is back with what we have promised is actually a new single. It’s no ‘New Rules’ or even ‘IDGAF’ but it is the natural next step in Dua’s musical evolution. We’ve had “finding her empowerment Dua”, then we had “shout out to my ex” Dua and now we have “screw it put more drums on the track” Dua. And, you know what, we could get used to that! Grace Carter – Heal Me: Wow oh wow. Grace Carter has an ability to only release MASSIVE pop tunes and here she is delivering potentially one of the biggest British pop songs of the year… and we’re only in January! The moment at 2.36 actually makes the hairs on our arms stand up. Written about her relationship (or lack thereof) with her father, she manages to write an epic love song filled with such powerful vocals with such… grace. will be having a humongous year. WE’VE HAD “FINDING HER EMPOWERMENT DUA”, THEN WE HAD “SHOUT OUT TO MY EX” DUA AND NOW WE HAVE “SCREW IT PUT MORE DRUMS ON THE TRACK” DUA. Bring Me The Horizon – mother tongue: A whole 180 genre wise but BMTH’s new album ‘Amo’ is pretty massive and ‘mother tongue’ is one of our highlights for sure. If 2019 is going to have the big rock revival that everyone says it will, then Bring Me The Horizon have positioned themselves to be the leader of that movement. Jack & Jack – Day Dreaming: A notable mention because their new album ‘A Good Friend Is Nice’ is a worthy listen and this is the most single-worthy track. It’s a grower (we’re on 3rd listen and love it) but you need to give it the time, you get what we mean? RITUAL – Love Me Back (feat. Tove Styrke): This is a good pop. But this song could be by any number of pop artists, including (but not limited to): The Chainsmokers, Martin Jensen… maybe even Marshmello? We like it, but it gets 0 points for originality. To listen to all of our favourite new releases, check out the New Music We Love playlist on Spotify, below.